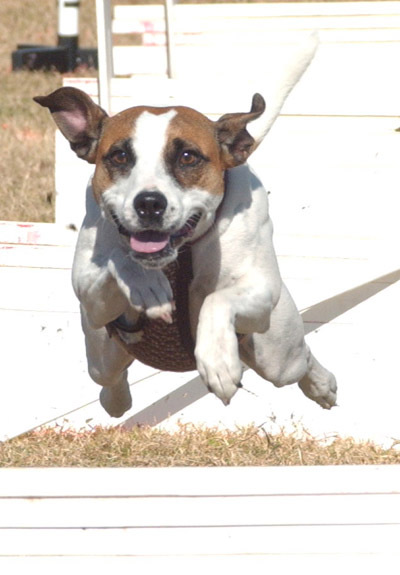 Rosa, a Jack Russell and Staffordshire Bull Terrier cross, has always known she was born to play flyball, and from her first day with other flyball dogs, she couldn't wait to race! 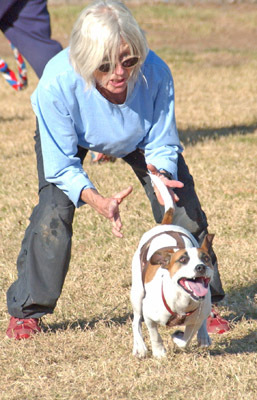 When she turned one year old, Rosa debuted at the RUFF Flying Dog tournament in Colorado in June 2006. She poured on the speed and earned her championship that first weekend. 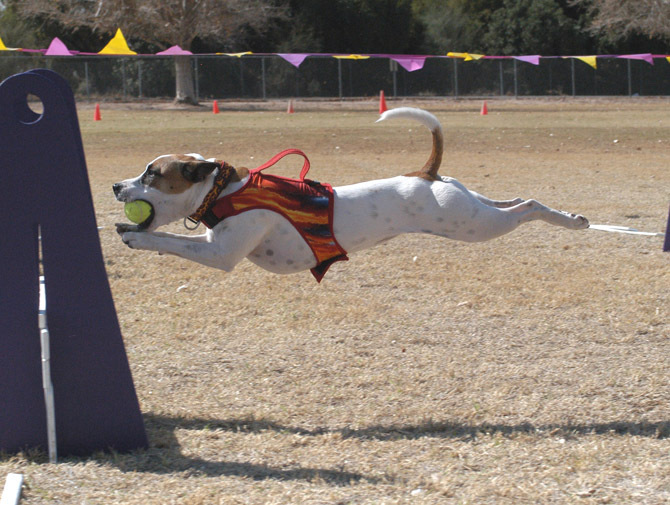 Although Rosa loves nothing better than flyball, she does think life is party and her rightful place is at the center of the action. Our little Rosa is totally fearless, very affectionate, and loads of fun! Judy has to work hard and think fast to keep up with our little speedster!